Blue Box Storage is committed to providing the customer with the most friendly and helpful customer service. In this modern age, people rely on what others have to say about a business before they use it and we rely on our exit surveys to give us accurate and informative information about our customers’ experience during their time with us. This allows our customers to see what we are like as a company and allows us to improve our product for all our future customers. See what they say below. "Thank you for the great service and help". "All the staff have been very helpful in providing a really good level of storage service." 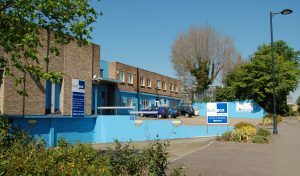 "Very helpful staff, excellent facilities, would thoroughly recommend". "Thanks for the great service : o)"
"This is the 3rd time we have used Blue Box and as always the service has been excellent and we will definitely recommend you to friends and family. Thank you very much for your great service and friendly attitude." "They have always been very helpful, nothing is too much trouble and I would definitely recommend them to anybody needing storage facilities." 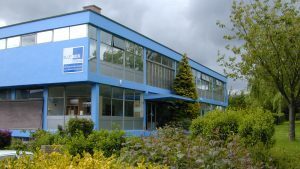 "Easy location and a great service :o) "
"Can't fault Blue Box Storage, they looked after us so well. It was a pleasure to deal with the team. Would recommend to anybody (and already have)." "Wonderful. Thanks. Very helpful with problems". "Keep up the good work". "I'll be back, see you in a few months". "Everybody has been very helpful in storing the furniture and efficiently managing the account"
"Would use again - excellent". "Alicja was so very helpful, polite and extremely professional in her assistance over the last of couple months. We will certainly be visiting Blue Box Storage in the future!" "Excellent service. Would (and have) recommended Blue Box Storage"
"Open longer on Saturday would be good"
" I'll use BBS again in spring"
"Everyone has been lovely. Thank you so much Alicja". "Great service, great price, great value!" "Brilliant pleasant helpful staff and very convenient. Alicja and Mark very nice and efficient". "It was a pleasure using your facility for storage. The staff are excellent and helped me with all my requirements. I'm definitely going to recommend Blue Box Storage to anyone who asks me for a storage facility recommendation. 5 Star SErvice!" "Very polite staff, Great facility"
"Very helpful staff. Great attitude and customer service"
"Longer opening hours at weekends"
"Very helpful and friendly.The staff have been a pleasure. Thank you for all of your help." "Many thanks for your fantastic level of service these last few months". "Would be good if there was more time on weekends or access outside of opening hours"
"Excellent facilities, service + customer service". "I’ve had the most excellent service from start to finish. Thanks very much." "The storage facility was clean. Staff were charming and helpful. A very easy and pleasant experience. Will use it again. Thank you." A big thank you for all the help and kindness you have given to us, we will always remember you all." "Very good people, always happy to oblige. End of an era. Thank you all for everything." "Weekend opening hours could be longer. 10 am - 2 pm is a bit short if you have several trips to make". "Great units, great location, very professional and helpful staff! I'll definitely use Blu Box Storage again. Thank you." "Excellent - I'll be back, at some point." "Good explanation of procedures. Nice attitude." "Storing with Blue Box Storage has been a pleasure and particularly working with Alicja. We will certainly know who to go to if we are in need storage again." "Excellent facility but very expensive"
"Weekend access would be useful". "Very nice people and treated us very well. Definitely coming back, thank you." "Helpful, friendly staff & very convenient - would use again". "I would like to reiterate how helpful and pleasant you and your staff have always been and would not hesitate to recommend your company to others." "Excellent service from the staff. Always helpful and polite. Definitely recommended!" "Staff attitude 100%. Thanks for all your fabulous help! See you again I'm sure!!" "Great company and great staff"
"Thank you very much for the excellent service!" "Excellent Service. Bigger loading bay?" "Lower price a little. Open until 20:00." "Suggest sunday opening for a few hours"
"Would use again and advise friends to do so"
"Customer service has been excellent"
"Closing early on saturday is not very convenient for working customers"
"Everything was to my satisfaction. I've been really pleased with this facility"
"They do a very good job here"
"Should not charge deposit, goods should be enough"
"Sunday access would be very helpful"
"Limited weekend access a problem"
"Staff are very helpful and polite"
"Friendly, helpful staff- thank you"
"Lovely staff. Will use again". "Staff friendly and very helpful! Thank you for your assistance". "Really good, couldn't improve really. Excellent"
"So impressed with staff & service. More notice needed for holiday closures." "Excellent throughout the whole experience". "Staff extremely friendly and knowledgeable, even made a tea for me and removals guys on exit. Fantastic service". "Staff very friendly, always happy to accommodate, always pleasant and approachable". "Excellent service, will recommend Blue Box Storage. Friendly staff." "Was recommended by my brother and I would highly recommend to my friends." "Possible out of hours access." "Staff have been absolutely fantastic, cannot fault them and would choose Blue Box again before anyone else." "You can't improve on perfection. A truly wonderful company to deal with, with staff who understand the importance of customer service"
"Always a delight to visit with helpful and friendly staff. As a long term customer they do their best to keep my fees as economical as possible and recommend what size of unit I need." "Slightly longer opening hours at the weekend". "The staff have been amazing and very helpful. Very fortunate to have such great staff. Thank you to all". "Lovely, professional, helpful staff. Mark, James and Alicja were great." "Blue Box has always been more than happy to help in any way they can: lending a hand, extending opening hours and always friendly." "Always welcomed by staff when attending facility"
"Really good friendly service & clean, dry storage facilities. We will use again in the future". "It has been very good! We're very happy about our experience with Blue Box"
"Very good all round service." "Been very helpful throughout my rental. Great to deal with!!" "Blue Box Storage has been very useful and easy to use. Staff are very helpful an nice." "Brilliant service just Saturday & Sunday opening hours could be longer." "Happy with the service, friendly staff, good facilities." "Thank you so much for keeping my stuff." "Always helpful and cheerful. Really great customer care." "All was good and a great help from all staff"
"No suggestions really - Very helpful staff!" "Very efficient and ease of arrangement - Very organised and clean and tidy"
"Happy with service. Thank you." "Great service , friendly staff." "Thank u for letting us store are stuff for the last 4 months. I would recommend Blue Storage to every one. Many thanks"
"Only one slight criticism, in my unit there is a beam going diagonally across the back wall that is a bit inconvenient for loading things high up." "Very happy with staff. Easy access & friendly staff. I would use again if needed." "Difficult sometimes with opening times at weekends being limited as this was often the only time we could come"
"I don't think you could improve on the total service I have received." "All good, very clean & easy. I will definitely use Blue Box Storage again if I need storage space." "I've used you guys twice now & have been very happy with the service of the staff & safety of the facility, would definitely recommend you." "If we need to store stuff again we'd definitely use you, if only to see Rodney's happy smiling face again. Top service. Thank you very much." "Great service, really friendly staff, highly recommended." "Rodney perfect assistant manager, understanding, polite and friendly." "Once again, the Blue Box Storage has been my saviour, so thank you for providing such a great service for storage"
"The staff has been extremely helpful, polite and we would recommend the company. Alicja has been most professional, helpful and an absolute delight to deal with." "Excellent service including the staff member staying late on check in day due to late notice requirements and was very helpful and accommodating." "Very good & friendly staff"
"Fantastic service. Great location. Amazing storage space. Efficient, polite, happy staff (Julie). Pay rise to be considered." "It was fantastic service as needed storage on short notice. Very helpful each & every time I came to see/ use my storage." "Never had to bother staff as so easy to use & accessible." "Staff were very friendly and more than helpful. Thank you." "Happy with service & facilities. Service excellent. Suggestions: More flexible opening hours i.e. maybe 1 late night.Would use & recommend Blue Box, Alicja is great." "Would happily recommend you to anyone who needs easy access storage." "Very polite and helpful staff." "Longer opening hours on Saturday and Sunday"
"Good service by all staff." "Always found staff really helpful and advice very clear. Good telephone manner too." "The manager here is absolutely wonderful and first class at his job, and looking after your customers." "Lovely to deal with, helpful and very polite." "Absolutely delightful organisation to deal with - very helpful & efficient." "Really delighted with the service Julie gave me and she deserves a rise. Very good storage." "Great Service, Fabulous Staff. Thanks." "Excellent service. Overall couldn't fault their service at all." "All very good, lovely staff & nice units." "Very good service and help." "Great Service - Staff Helpful and Friendly"
"Very friendly and helpful. Rodney was very professional and easy to work with." "Wonderful. Staff (Jules) has been very helpful." "Excellent service. Premises are clean, dry and kept at a reasonable temperature which keeps everything in good condition." "All very good. Staff very helpful." "Very happy with the standard of service. Everything made easy for us. Thank you very much & Happy Christmas." "Excellent & very useful, staff very helpful." "I have always been extremely well looked after by Mark and Alicja and always knowing the storage is very secure gave me peace of mind." "Glad to have come across this place. Both staff members have been terrific." "Very professional and caring staff - took care of me and my things very well!" "Well received by the company. Properly informed about getting the storage and being able to access it. Brilliant service." "Very happy with my choice of storage. Excellent service, I have already recommended you." "Friendly, efficient staff. Made the last 4 months very painless & hassle free. Would definitely recommend you." 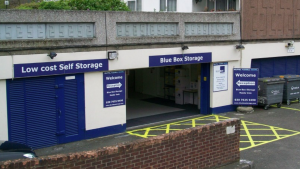 "I have no hesitation in recommending Blue box Storage, the staff were extremely helpful and the premises excellent." "Excellent clean facilities, would have recommended." "Super service - good advice + flexible to meet our needs." "First class service by the staff & clean, tidy premises easily accessible." "Staff very organised, would definitely use again. Thank you." "Never had any problems in the 5 years we have been at Blue Box. Everyone always so helpful." "Very helpful and cheerful staff. Easy access and being close to home made choosing Blue Box Storage great for us." "Hours of Opening are Difficult - esp weekends"
"Very good service. Excellent customer service." "Good Service. Would use again + recommend." "Very happy with the facilities and the friendliness of the staff. Thank you very much. We would definitely recommend you." "Really helpful when we needed to empty store. 1st class." "Opening hours are not very helpful." "Simple. Fantastic Place and the staff as well." "Very good friendly service. Lift tricky to open & shut." "Very good staff & site." "An Excellent Service, Many thanks." "Recognise the shortened hours at weekend when we signed up. At times would have been good to access later, but not a negative." "Overall perfect solution for the excess of household stuff - especially if you're lucky to be offered a discount. But even without, very good value for money." "Found cheaper storage elsewhere. Would use again if costs lower." "All very good. Very efficient in all aspects. Longer weekend opening hours would be more helpful." "Need 24/7 Access to match other competitors! Thanks." "Longer opening hours to access lockup." "Van taking up the loading bay." "Later opening times at the weekend." "Service has been good for my means. Only small gripe would been opening hours at weekends. Thanks"
"A very good service. Mark and Alicja have always been so accommodating and helpful. Will recommend Blue Box definately! Thank you very much!" "Yes I would recommend this facility." "Excellent concept. Hassle free. Explanation of usage helpful & clear. Staff excellent to deal with." "I have been a customer of Blue Box Storage for a long time. I have always found the staff very helpful and courteous and premises are kept very clean. I can highly recommend it." "Will use your company again. Rodney is a credit to your company." "Very easy access to our stuff while kept in storage, extremely convenient!" 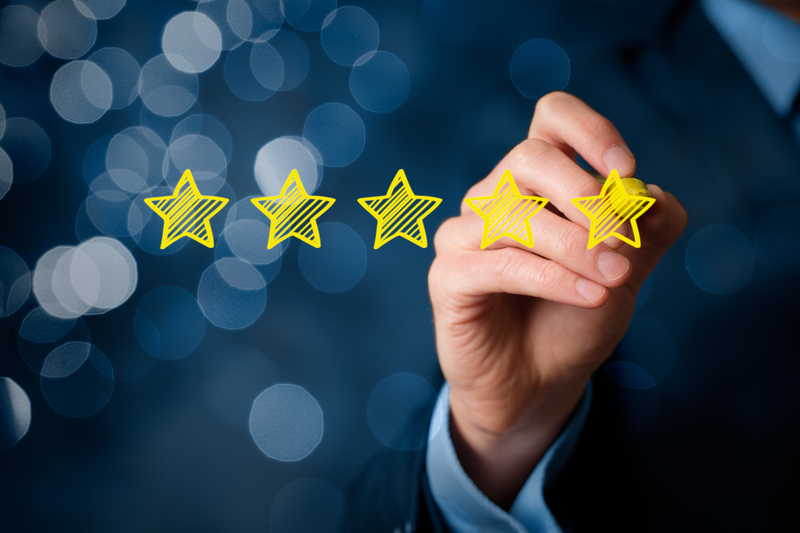 "Appreciate all the efforts, good doing business with you"
"Very helpful and courteous staff always greeted with a smile every day"
"Julie great person, very helpful - she is an asset to Blue Box - Thanks a lot"
"Always a great service - thanks Julie & Jason"
"Excellent! saves a lot of hassle"
"Staff very helpful and storage is well situated. Thank you"
"Very good staff very helpful and friendly." "A very smooth and pleasant experience. The staffs flexibility and courtesy is greatly appreciated." "Really easy to use, good access"
"Fantastic, friendly and professional staff- nothing has been too much for them. I would happily and willingly recommend BBS to anyone requiring storage facilities. Thank you." "The staff have been excellent." "First class service. Quick and easy." 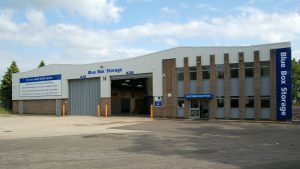 "I have been always really impressed with Blue Box at Farnborough. Mark & Alicja are great to deal with, Storage is good value & I would certainly recommend. Thank you." "A really nice, friendly service. Many Thanks." "Very flexible in accommodating a short - notice extension of the hire period." If you would like to leave us a review and let us know how we did please feel free to contact one of our centres or follow one of the links below to find your relevant centre. We would love to hear from you.